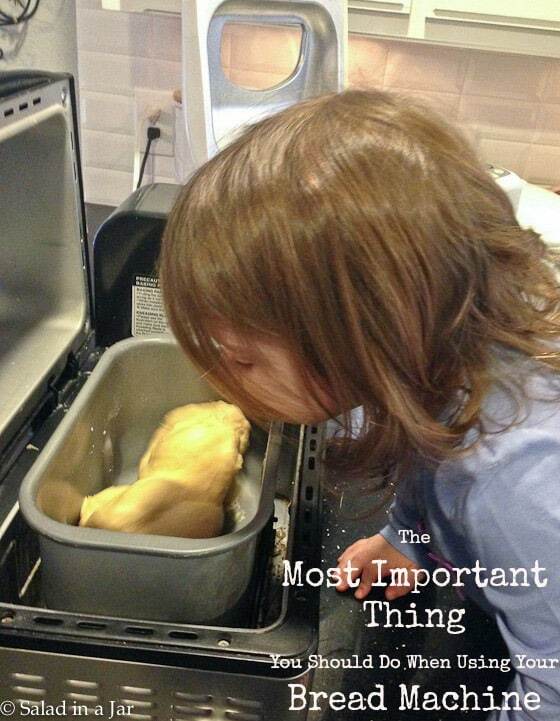 The Most Important Tip When Using a Bread Machine • Don't miss this! 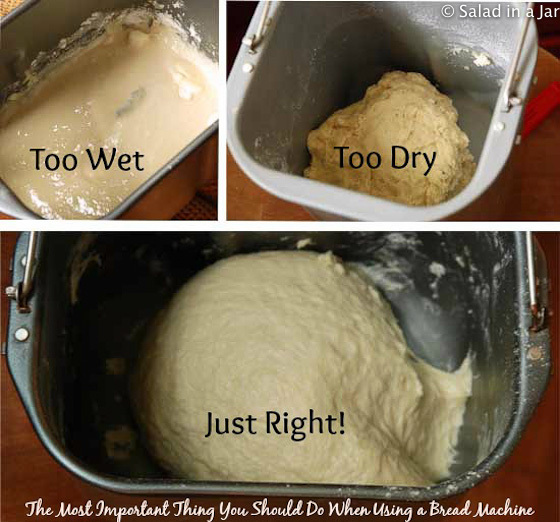 Are you wondering what “The Most Important Tip When Using a Bread Machine” could be? If you haven’t been doing this already, the quality of the bread you get out of a bread machine will start to improve immediately. Your bread machine does not have a brain! A timer and a thermostat maybe, but no brain. I know a lot of people buy a bread machine hoping it will magically make the perfect loaf of bread with the press of a button. You might get lucky and it happens…..if you use the right recipe, and the humidity is the same as wherever the recipe-developer resided, and you measured your flour in the same way the recipe-developer did, and the room temperature where your bread machine sits is exactly the same as theirs was, etc. Making bread is an art, not an exact science. Sometimes you will make adjustments based on the environment, the ingredients you use, and the finished product you desire. Knowing when, what, and how much requires experience, a sixth sense, and sometimes, good luck. Are you are using your bread machine as a mix-knead-rise appliance (like I do), or do you want your bread machine to do everything? Either way, my #1 piece of advice is to open the lid and check out the dough inside. Do this 5 minutes or so after starting the machine and then again after the machine has been kneading 5-10 minutes. If you walk by 15 or 20 minutes into the cycle, open the lid and peek to see if all is well. The only time you do not want to open the lid is in the middle of the rising period as you will be letting some heat escape, thus prolonging the rising time. The goal is for the dough to stick to the side, then pull away cleanly as it kneads. The dough in the video below is the perfect consistency for the average loaf of yeast bread. It’s pliable, shiny, smooth, and not too sticky. Is your dough too dry? Does it refuse to form a ball, or does it make a ball that slaps loudly against the side of the pan? Add a tablespoon of liquid, give it a chance to mix up for a couple minutes, and check again. Keep doing this until the dough looks right. Is the dough too wet? Does it look gooey and sticky? Add a tablespoon of flour at a time, watching until you see the dough stick to the sides and then pull away cleanly. Allow a couple minutes for the dough to incorporate the flour before adding more. Remember, some doughs need to be quite wet, like brioche or ciabatta. If you are a beginner, avoid those kinds of recipes until you have dependable success with a simple loaf. Another time I recommend you peek inside the machine is at the end of the dough cycle. I will address that topic in an upcoming post. p.s. If you are new to the bread machine world and want to increase your chances of success, may I suggest you start with a bread machine mix from the grocery store or use a basic recipe from the manual that came with your bread machine. Or, try using one of my bread machine recipes formulated for using a bread machine like I do. Check out my recipe index for lots of possibilities. I have made several loaves of bread by machine only, including baking and have had almost no problems with any of the results. I have made cinnamon raisin to sesame to plain breads and they were all wonderful using instant fast rise yeast. The wet ingredients all go in the bottom before I add the dry and I use proportions I used to use for oven baking. The only issue I have is putting the raisins in too soon and they get broken up by the machine if I don’t add them until nearer the end of the kneading time. Whoa! That would be some dry dough for sure! What model bread machine is that? I’ve been looking for a one that can do small loafs.. any thoughts on this one? Ben, You can read about my Zoji here. The one pictured in the Youtube video looks like this one. I suspect it is excellent for smaller loaves although I haven’t tried it personally. Mine is also good for smaller loaves because it has two blades. I almost never use my bread machine to bake bread so don’t know how well it actually bakes a small loaf. Gosh, you mean you want us to think? Geez, Paula, that’s no fun! LOL! But as a bread machine user, I can second that advice. It is crucial to making good bread. I didn’t think a few times when my karma was not good, and I had failures. This is excellent advice. Thanks for the confirmation, Becky. I’ve had my share of failures, too.